The Black Panther received a lot of hype before its release and indeed the hype was worth the expectation when it finally got to the cinemas, breaking all sorts of records just weeks after the release. But the director and whole crew were anticipating much more than that. They perhaps wanted the movie to win all sorts of awards and it has started. 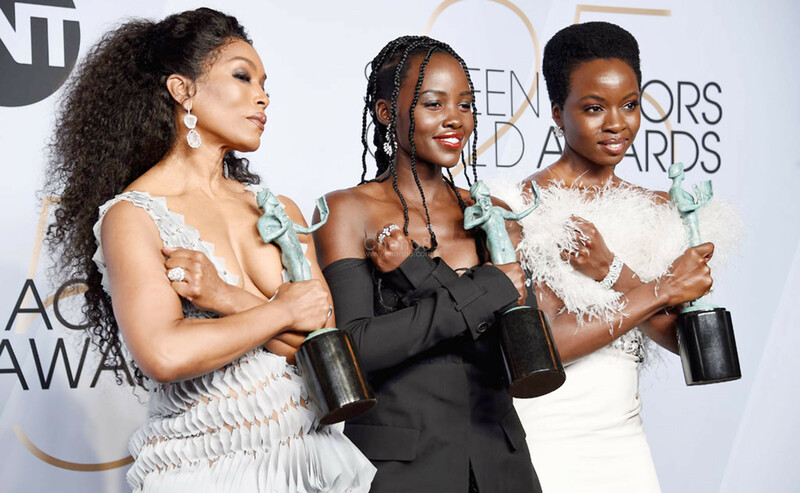 Yesterday, the Superhero movie won the top prize at the Screen Actors Guild Awards (SAG), which is a major boost for the Oscars coming up next month. 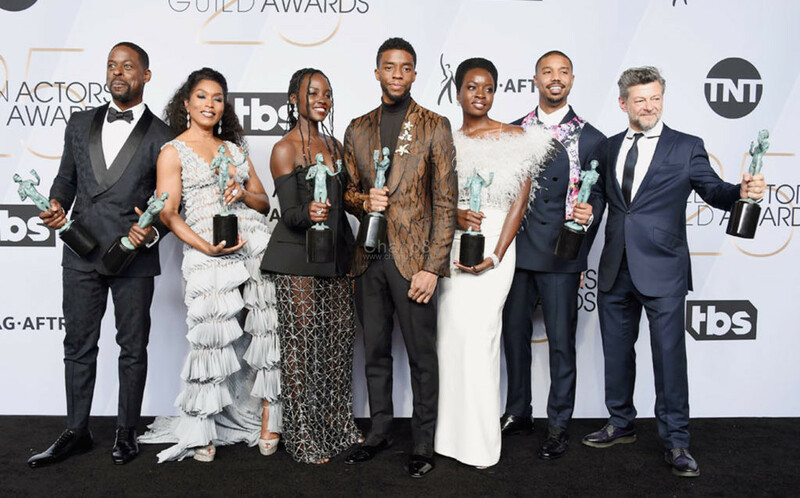 The Marvel film won the Best Ensemble cast, beating Spike Lee’s “BlacKkKlansman,” musical romance “A Star Is Born,” Queen Biopic “Bohemian Rhapsody” and Rom-com “Crazy Rich Asians” as well as, the Best Stunt Ensemble. According to the lead actor of the movie Chadwick Boseman, this movie was basically to create a movie that illustrated how special black people are. “We knew that we had something special that we wanted to give the world — that we could be full human beings in the roles that we were playing, that we could create a world that exemplified a world we wanted to see”. Adding that everyone knows what it’s like to be told that there is not a place for you to be featured, yet you are young, gifted and black. Flavia Tumusiime To Host Future Awards In Nigeria.